This is O'Doul Gate. One of 4 entrances. 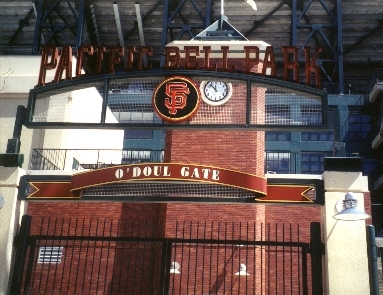 This one is named for SF native Lefty O'Doul. Lefty O'Doul Bridge leads right to this gate.